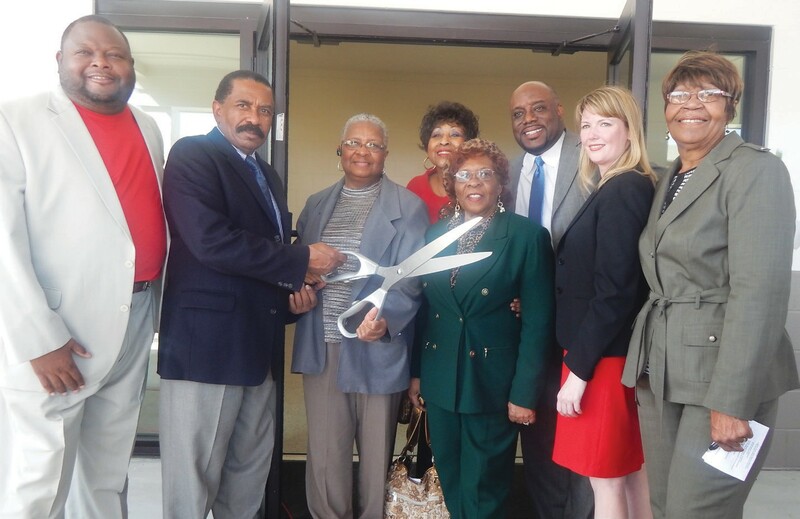 A ribbon cutting ceremony was held on Monday, March 2, 2015 for the new Cloverdale Community Center. The Center is located adjacent Butler Elementary School at 1909 Cynthia St. The center includes a multi-purpose room that seats 120 people in a banquet setting with a serving kitchen and pantry. The building also includes a computer room, an exercise room, an office, restrooms and utility spaces which are to support the operation of the facility. A new access road and parking lot have been constructed ro separate the flow of people and vehicles from the school traffic. The Design Team, led by Architect Anne K. Smith of Lominack Kolman Smith Architects, is comprised of 100% local small businesses. Voters approved funding the construction of the community center in the 2008-2014 Special Purpose Local Options Sales Tax (SPLOST). Through a three way partnership, Chatham County served as the developer and provided SPLOST funding, the Savannah-Chatham County Public School System is the property owner and provided access to the site and the City of Savannah will maintain and operate the facility. Among the dignitaries making remarks were Dr. Priscilla Thomas, Mayor Edna Jackson, Curtis “Victor” Cooper, President of the Cloverdale Civic Improvement Association.